I got to talk to this guy a little better during our time at the anti cyber bullying campaign in GMA. 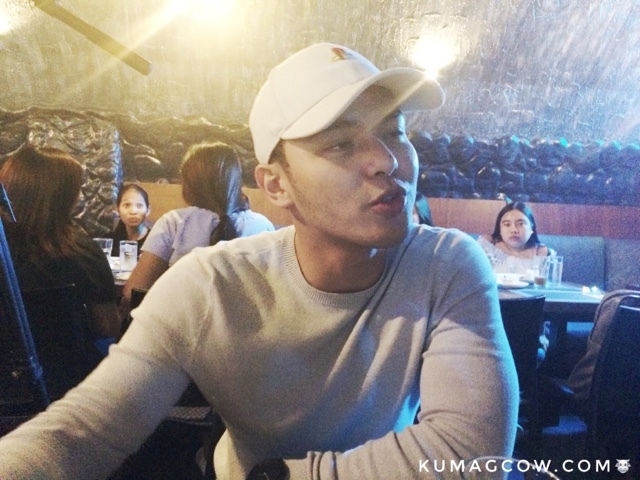 I wasn't really expecting much since they were already established celebrities and it might prove a little difficult for ordinary people like me to relate to them, but they proved me wrong because Kristoffer Martin and Joyce were so down to earth and very accomodating... they were a bit shy but overall that impression stayed. Kristoffer just celebrated his birthday this month and if you ask him, he wasn't as keen as celebrating it because most of his Novembers in the past were just a series of unfortunate events. 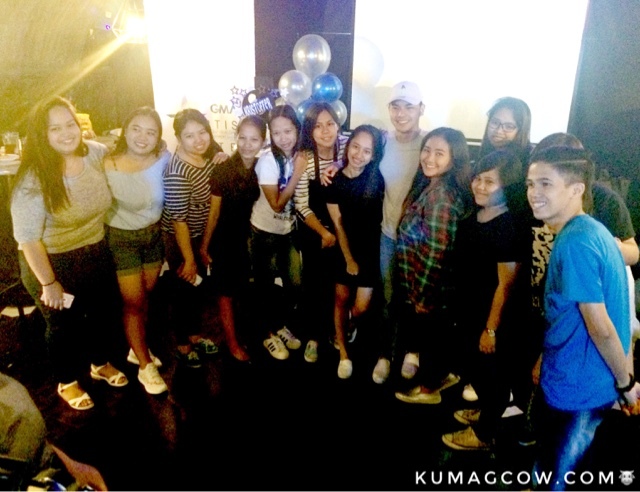 He finds this month even tougher, but really appreciates his fans because they never miss an opportujity to surprise him on the day itself. They got his car filled with tons of stuff, pictures from his past, photos he found funny and awkward, plus tons of letters from them which he considers something that made him happy. He's currently part of the ensemble cast of Super Ma'am which stars Marian Rivera and happy to note that despite the challenges he's having in his life, he remained still blessed. 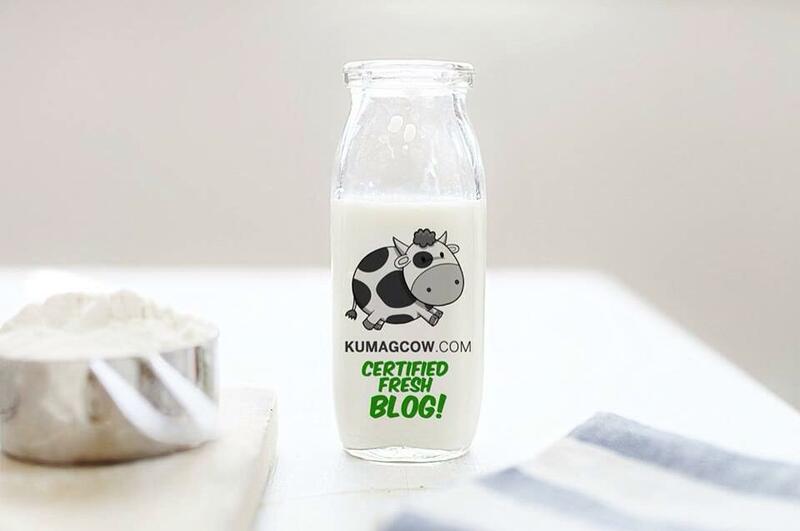 Kristoffer shares "I am really happy about what's happening in my career and Supermom. I work hard and workout for my role, and I spend a lot of time in the gym. That day when they surprised me I was really down and I told Joyce about it. We bought Jamba Juice and I saw them all waiting for me at my car, they filled it up with stuff and again I eas surprised to see these all. I haven't really read their letters because I was already happy, I read them when I'm sad because that's my happy pill, they are my happy pill. Thank you Cave for accommodating us for lunch, I hope to have more challenging projects and better health because I think I'm getting there." 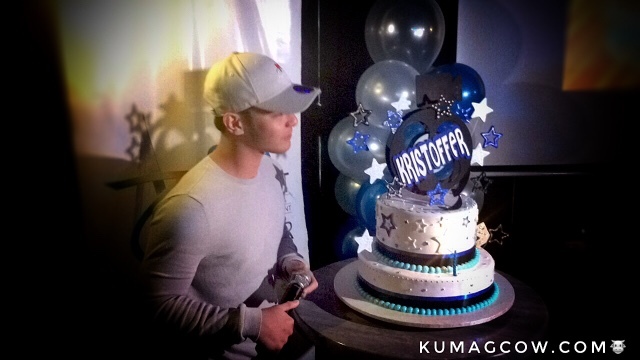 Mary Grace the president of Kristoffer's Fans Club says "I am so elated whenever his birthday comes. He's the reason why I don't have a boyfriend now, and it's totally okay because I have a lot of sons and daughters in the group. Even if he's so busy we do this every year for him to at least surprise him. We want him to finish his studies, even if he has a lot of work we know he's going to make time for it. We gave him a Ferris Wheel because we want him to feel that we are here for him during ups and downs, that's what it means. In behalf of the group, Happy Birthday Tuns because we're always here for you. We hope you continue your success, your album, your single. Thank you for inspiring us, always!" This guy is also planning his career ahead, so aside from more challenging roles he wants to do, he also wants to have several films and produce one if he finds the time next year. I find him under utilized but it seems he's quite content with the path that GMA Management is doing with his career, I think it's quite the premium that they put on this great actor which I think is the reason why they're very careful about the roles he's playing. I'm sure he'll be getting accolades and interest from critics soon. I'm not just hopeful, I'm confident this nice man is going places because he cares about his craft and eager to do this. He's also planning to have his own business soon, so I think we just have to watch him succeed.